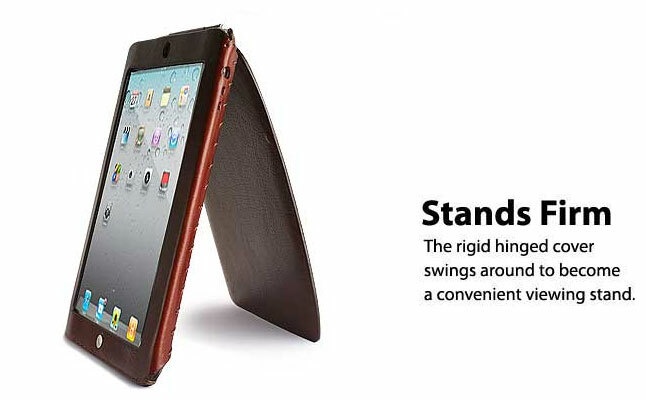 Padova Mini from Orbino is the Apple iPad Mini compatible version of the highly popular tablet flip case from the manufacturer. The case is handmade from premium Italian leather, but is also available in a number of exotic skins. The leather material is not only great looking, but serves as a durable protective layer. Orbino’s proprietary push through button system also made its way onto the Apple iPad Mini case alongside the brushed metal home button. The flip cover of the Orbino Padova Mini features built-in magnets which activate the sleep/wake functionality of the tablet. All ports and buttons of the device are open to free access. The cover of the case also turns the Padova Mini from Orbino into a tablet stand in both landscape and portrait orientations. There’s also a removable typing stand included in the package: it features a metal spring and is always ready to prop the tablet up at a perfect typing angle. 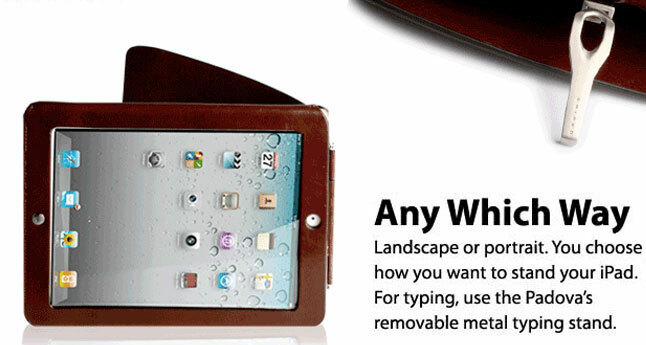 The case can also be ordered with an optional handle/stand/shoulder strap system. The price for the leather case is $209. Exotic skin prices range from $569 to $689.